Although they currently compete in different weight divisions, Gegard Mousasi and Rory MacDonald have followed a similar career trajectory. Both men were knocking on the door of a championship in the UFC. However, the gold continued to elude them and frustrated with their place in the promotion, they decided to test the waters in Bellator. Mousasi and MacDonald both won Bellator gold in just their second fight with the promotion. 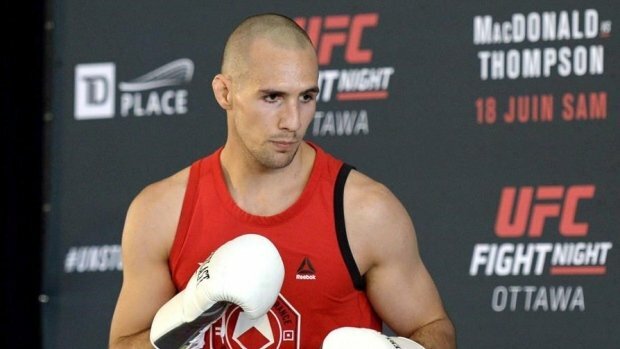 After Mousasi’s recent middleweight championship win, he called out welterweight champion Rory MacDonald. Cue the Twitter trash talk. It seems the superfight is going to come to fruition. Ariel Helwani is reporting today that Mousasi vs MacDonald is in the works for September 29th. Mousasi’s middleweight title will be on the line. This news follows word of a press conference next week regarding an upcoming Bellator event. Quinton Jackson and Wanderlei Silva will be present at the presser. Silva has claimed that a bout with Jackson has been signed. So, it seems the fourth instalment in the Silva/Jackson saga will take place on the same card as this champ vs champ superfight. Next Next post: What do Goodfellas, Foxcatcher and Fargo Have in Common?